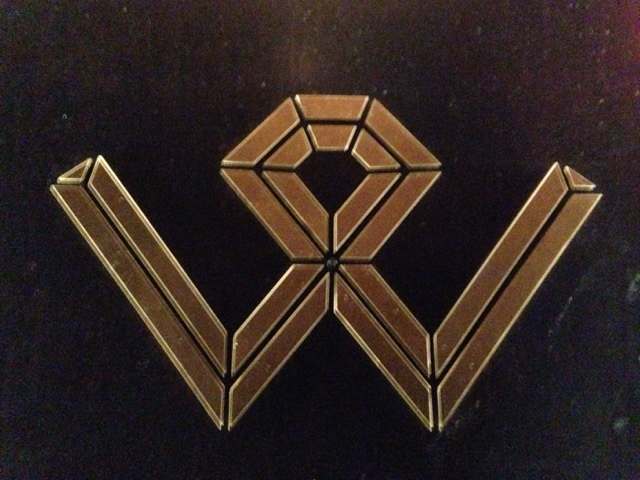 Wright & Co is a fun restaurant with a great vibe. 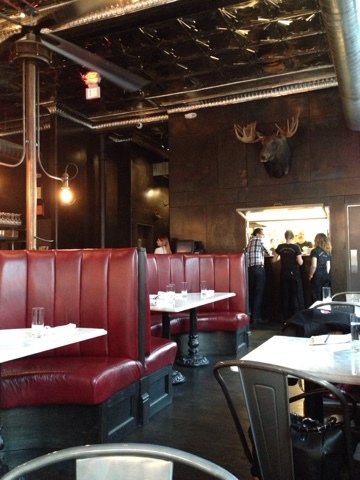 It is by the same people who brought you Sugar House in Detroit, so you KNOW it will be good! It is located a few blocks away from Comerica Park and you have to follow a few signs to get up to the Restaurant. 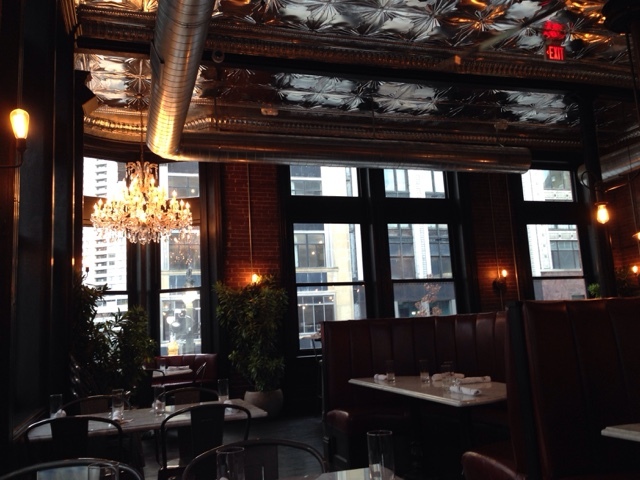 The interior has really great decorations, and we loved the atmosphere immediately. Great music and service too! 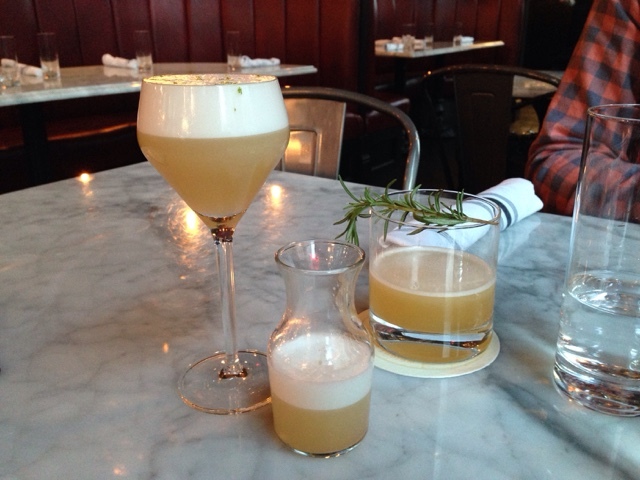 We started with a few cocktails, and they did not disappoint. My favorite was a snap pea-infused drink which tasted so light and fresh! Wright & Co has a seasonal menu, so they won't always have the same menu items, but you'll get the idea from the items that we ate. 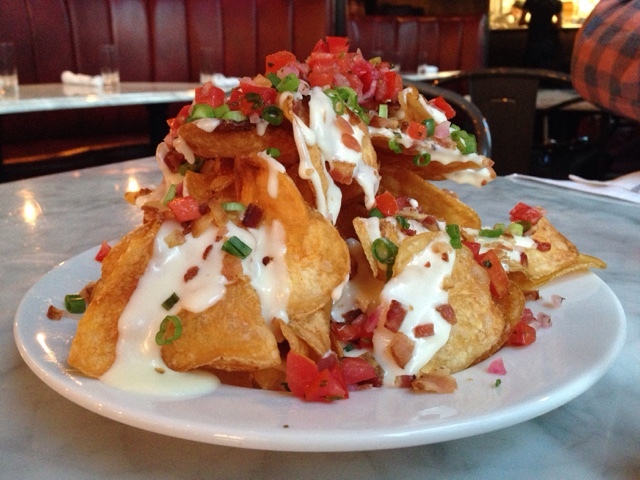 It is served in small plates and you are encouraged to share. First, house made potato chips with an awesome cheese sauce. 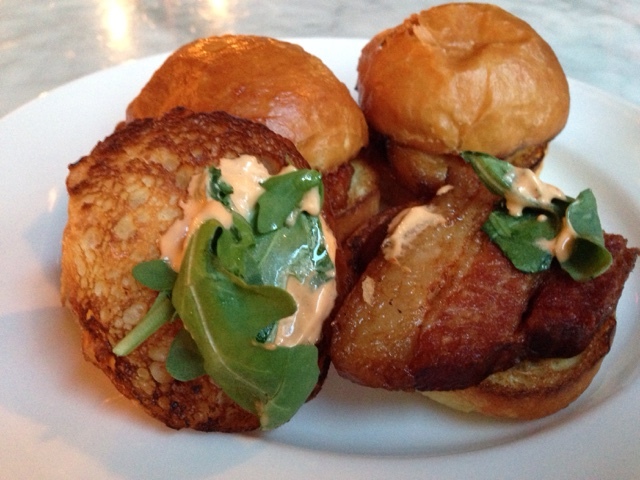 Then, Pork Belly Sliders. These were amazing! 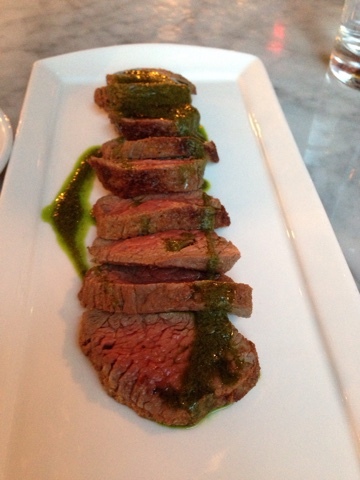 Next, Beef Tenderloin with a Chimmichurri sauce - very tender and flavorful. 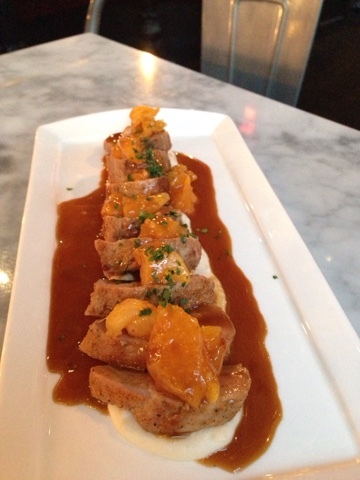 Next, Pork Tenderloin with Apricots. 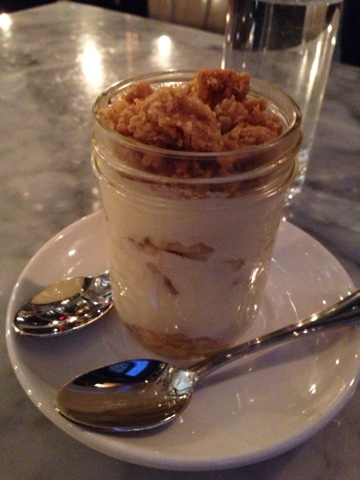 And to finish, and amazing house-made crumble. 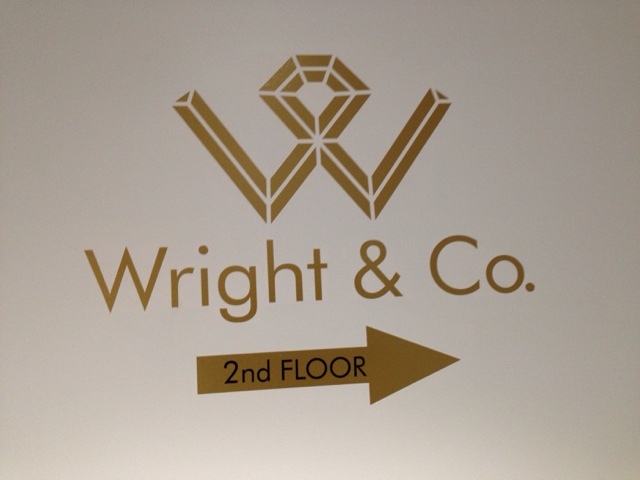 We really enjoyed the atmosphere and food at Wright & Co.